In order to align ourselves with CNHC’s guidelines, BANT is updating its Complaints and Disciplinary procedures. 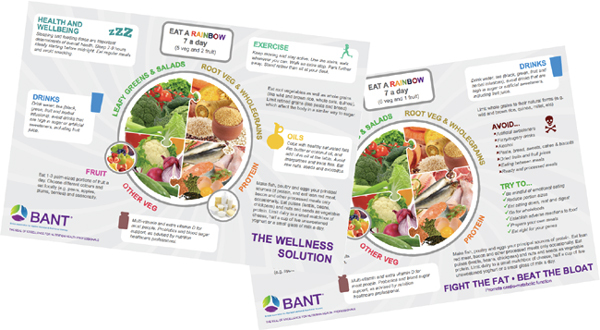 Therefore, with immediate effect, nutritional therapy clients of BANT Members who wish to raise a complaint against the BANT member will be advised, via the BANT website, to report this to the Members Registrant Body*. Currently any complaints that come into BANT from a client are investigated by the BANT Professional Practice Committee (PPC). Click here to view the eblast. 1) when engaged in clinical practice under the umbrella of the Nutritional Therapy National Occupational Standards and regulatory remit of the Complementary & Natural Healthcare Council you must use either“Registered Nutritional Therapy Practitioner” or the shortened version “Registered Nutritional Therapist”. 2) when engaged in any other activity using or applying nutrition science you must use the title “Registered Nutritionist” with the post-nominals “MBANT”. No other titles must be used. Make sure you, everyone in your organisation (if you work in an organisation) and everyone you work with who handles personal data is aware of GDPR and the changes required. You should familiarise yourselves with the changes required to comply with GDPR. All members are encouraged to watch the ICO’s webinar: Data Protection for Small Healthcare Organisation. For further reading see the ICOs 12 step plan or the ICO website. ICO also have an Advice Service and Live Chat to help small businesses prepare for GDPR. Steps 2 and 3: Processing – guidance and examples on identifying and documenting personal data held by nutritional therapists and your lawful basis for processing it. The premier free-to-attend allergy training event for is not-to-be missed by any health professionals with a focus on nutrition. Lead by Prof Jürgen Schwarze, University of Edinburgh, this masterclass features prominent speakers covering topics including: Cow’s milk protein allergy management, Anaphylaxis management, allergic rhinitis to asthma treatments and allergy prevention in infancy. For everyone else: Unlimited free tickets to free from heaven! Do you live with coeliac disease allergies, intolerances, eczema or? Do you live ‘free from’ gluten, wheat, eggs, nuts or dairy? Attend the biggest freefrom weekend Scotland has ever seen – with FREE tickets! Attend a weekend-long event dedicated you and your freefrom life. Taking place on 3-4 March at the SEC, the smash hit Allergy & Free from Show sponsored by Schär, will bring you the very best in freefrom living and allergy solutions… and smiles. Freefrom food and drink to taste and take home! Allergy, hayfever, skin and hair care products and solutions to try! Consultants and medical experts to talk to face-to-face! Free expert talks on important medical and lifestyle topics! Entertainment! Cooking classes with guest chefs, live music and more! Meet people just like you! NEW Features so keep an eye on the website for news! Sounds good, doesn’t it! Well then, what are you waiting for? Book your free tickets, tell your friends and family, and start planning your trip! And don’t forget to find the show’s on Facebook, Twitter and Instagram for exciting news, offers and competitions! What are the Data Protection Regulations? Currently data protection in the UK is regulated by the Data Protection Act 1998. On 25th May 2018 the Data Protection Act will be replaced by the European General Data Protection Regulations (GDPR). GDPR gives more rights to individuals in the processing of their personal data which means that individuals can request access, corrections and removal of their personal information in ways that weren’t available before. There is also a focus on transparency with privacy notices detailing how data will be used and a requirement for procedures documenting exactly how data will be processed and secured. The new regulation requires clearer evidence of consent from individuals and some methods of recording consent will no longer be valid. Additionally, GDPR gives greater powers to the ICO (Information Commissioner’s Office) to investigate organisations and breaches.